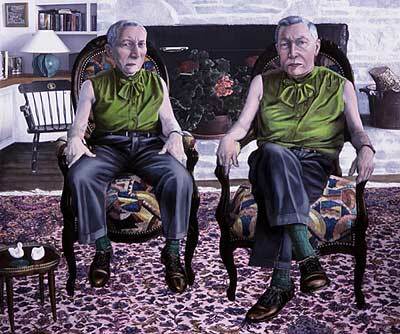 Clifford-Smith Gallery is pleased to announce its November 2003 exhibition of new work by Hannah Barrett. As a special Feature this month, the artist will examine portraits throughout history in an illustrated lecture titled: Their Eyes Follow You: The Fascination Of Portraiture, on Saturday, November 15 at 2:00pm. The talk will be free and open to the public. 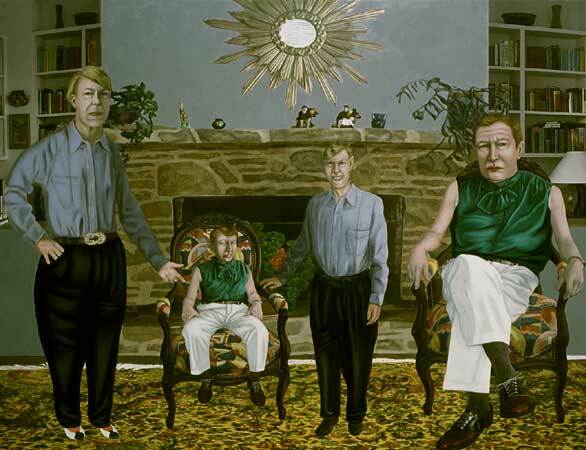 Hannah Barrett's provocative family portraits simultaneously evoke horror and humor. A Frankensteinian sense of pathos emanates from her bizarre characters as the viewer moves from one strange domestic setting to the next. Perhaps the most unsettling feature of this Addams family like photo album is the overwhelming sense of the normalcy of the subjects' oddities. 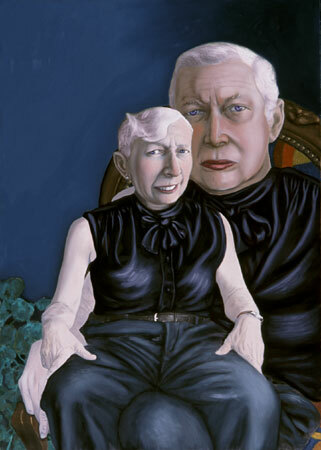 "My current work is the outgrowth of a sustained portrait experiment in which images of my parents are combined to form androgynous hybrids. 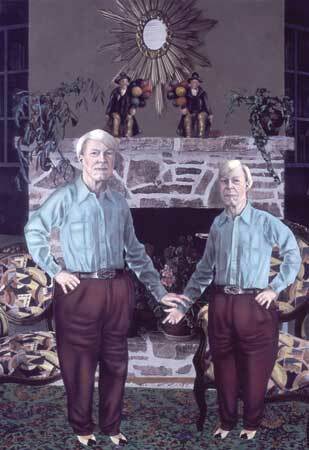 The pictures are made by oil painting over digital montage, so that effects such as cloning and scale changing can be combined with traditional painterly qualities and conventions of portraiture. By placing the figures within a typical home setting, they appear familiar, while their genders and relationships remain ambiguous. Nevertheless, the frowns and smiles of the subjects speak of real pleasures and annoyances in their shape-shifting world." Hannah Barrett holds an MFA in Painting from the School of the Museum of Fine Arts (SMFA), and a BA from Wellesley College. She was recently chosen to exhibit in the DeCordova Annual and has previously exhibited at the Gallery at Green Street. She is currently teaching at the SMFA, the BU School of Fine Arts and the Art Institute of Boston. For more information please e-mail the gallery or call 617 695-0255.